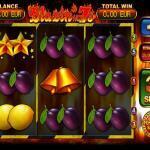 Blazi' Hot 7s is an excellent new slot that is from the portfolio of Betdigital. The game comes with three reels and a total of five lines and comes packing a couple of blazing hot feature for you to take advantage of during the gameplay. The game’s visuals are outstanding, and they help immerse you into a one of a kind blazing hot gaming experience that you will never get enough of as you spin the reels. You can try it here with demo credits to judge for yourself. 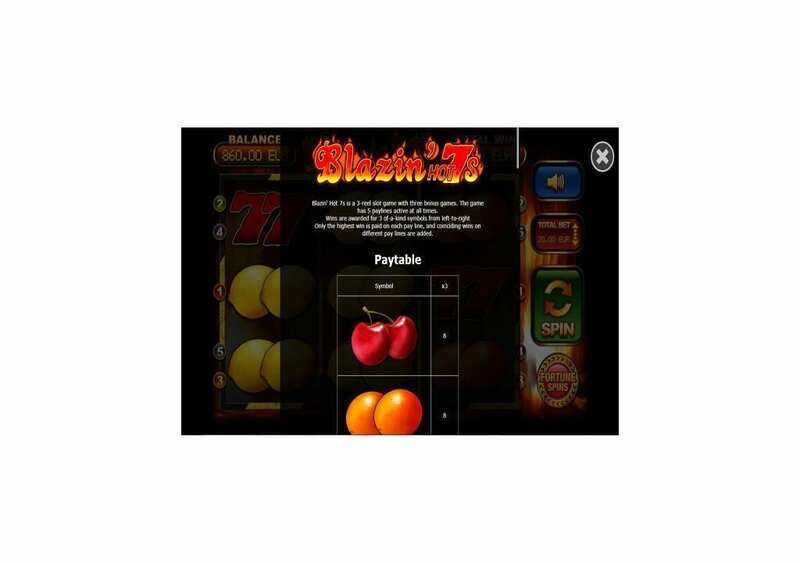 Blazin’ Hot 7s is a new slot machine by BetDigital that has three reels and five lines. Despite the basic setup and the retro look, the slot machine will surprise you, thanks to its bonuses, features, gameplay options and more. All of this comes to you in great blazing hot visuals that will immerse you into the experience for an engaging and a blazing hot adventure. The reels are hot, the reels are on fire, and they come with blazing rewards and features, this perfectly explains what you can expect from the new slot machine by Betdigital. The new title has three reels and five reels, and while many people may think that this means that it is a low-paying slot, the game is pretty rewarding and can result in some massive rewards. 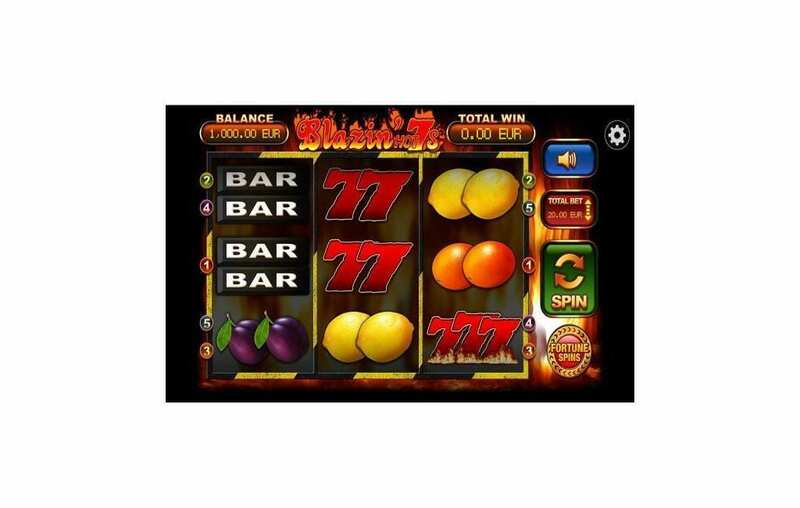 The team at Betdigital had one thing in mind when they were creating the game, which is providing the players with a fresh retro slot machine that is action-packed and comes featuring multiple blazing bonuses. There is the Cherry Win Streak bonus, the Spin Streak Bonus, and the Fortune Spins. The visuals of the game are on fire, which is fitting to the theme of the slot machine. So whenever you give the new game a few spins, you better be ready for the flames, the rewards, and the fun experience. You can do that right here for free to see what the slot machine has to give you before you start playing it for real cash. The slot machine does not come with a story or a topic, but it does have a nostalgic effect with its retro style and visuals. So in a way, the game invites players to re-live the glory days where they enjoyed spinning the retro 3-reel machines at the pubs and the casinos. 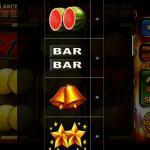 Now, Betdigital gives you the ability to enjoy a classic slot as you sit in the comfort of your own home. 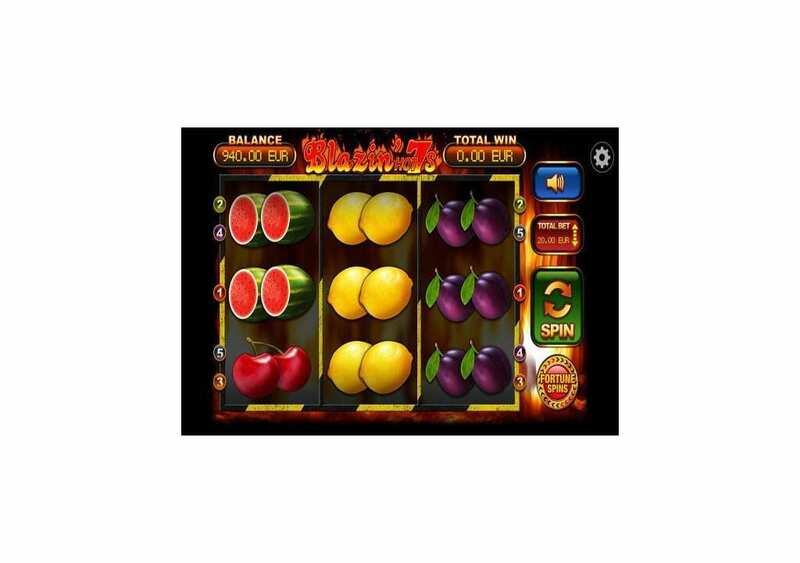 Therefore, you can expect to see traditional fruit symbols like lemons, plums, oranges as well as bar bells and the lucky 7s spinning across the reels of the slot machine. 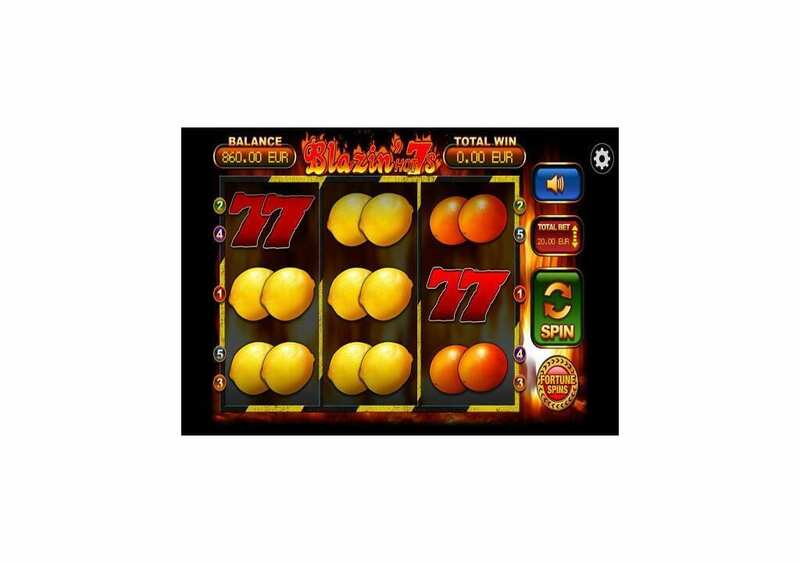 The slot machine has three reels with three rows of symbols and five paylines. 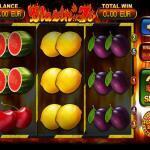 The game has blazing hot visuals, the inspiration behind all of the symbols is classic fruit machines. These symbols include fruits like lemons, watermelons, cherries bars and 7s. 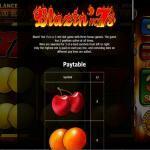 When it comes to payouts, Blazin’ Hot 7s will excel with flying colors. You will be able to claim plenty of rewards through the five lines of the game by getting three matching symbols on any of them. 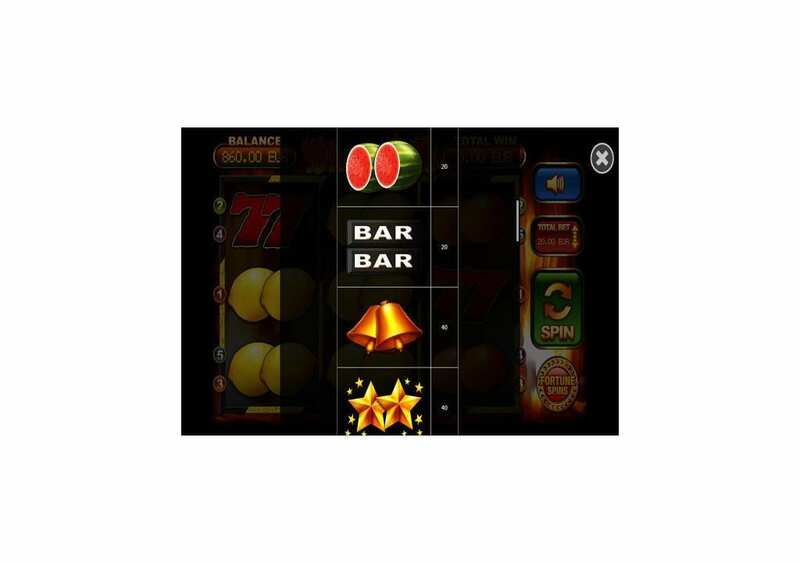 The game has a high payout percentage (Return to Player) of 93.99%, which is a relatively high percentage, despite being a three reel slot with only five reels. The thing that helps with the high payout rate is the bonus features that the game has, that certainly assist in creating massive rewards. You can view the payouts with ease by clicking on the settings button on the right, then on the paytable. At that paytable, you can to see all of the symbol payouts, as well as the bonus features of the game. The highest line prize that the slot machine can give out is equal 500x the placed bet. You can claim that amount when you get 3x of the Blazing Wild 7s symbols on the same bet lines. 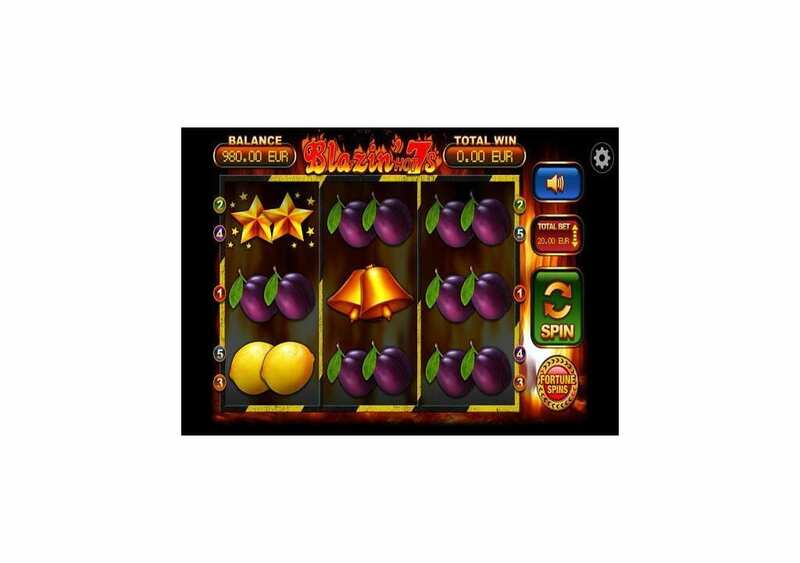 Blazin’ Hot 7s is a high paying slot machine that has a lot to offer you, whether through the stake lines of the slot machine, or the multitude of features that the slot machine has to offer. There is a wild symbol, a bonus round, Fortunes Spins and more. The Blazing 7s with the word wild under them represent the substitution symbol of the game. The Wild will replace all other symbols appearing anywhere on the reels of the slot machine. It will replace the symbols that are going to result in the best payout possible, but not the 777 Bonus icon. Fortune Spins is an extra bet that you can place, that can vary between 1x and 10x the bet. The higher the Fortune Spins stake you place, the more low paying icons that will no longer appear on the reels. 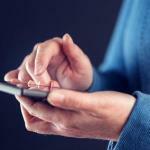 The 10x bet will remove cherries, oranges, lemons, plums, melons and bar icons. 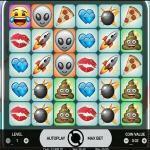 If you get three bonus icons in any position on the reels, you will enter the Free Games bonus round. You will choose one of the bonus icons to reveal the free games that you will claim. The slot machine also has two more features that you can trigger at random. They are the Cherry Streak win and the Spin Streak Bonus.